Argentina is considered the most European republic in South America with the majority of Argentines being descendants of Spanish and other European colonists. Modern Argentinian culture has been strongly influenced by its European immigrant population but with a South American flair. Latin American passion is combined with a cosmopolitan European lifestyle. The character of Buenos Aires, the cultural capital, has stemmed from its high proportion of European descendants plus their imitation of European fashion, architecture and design. 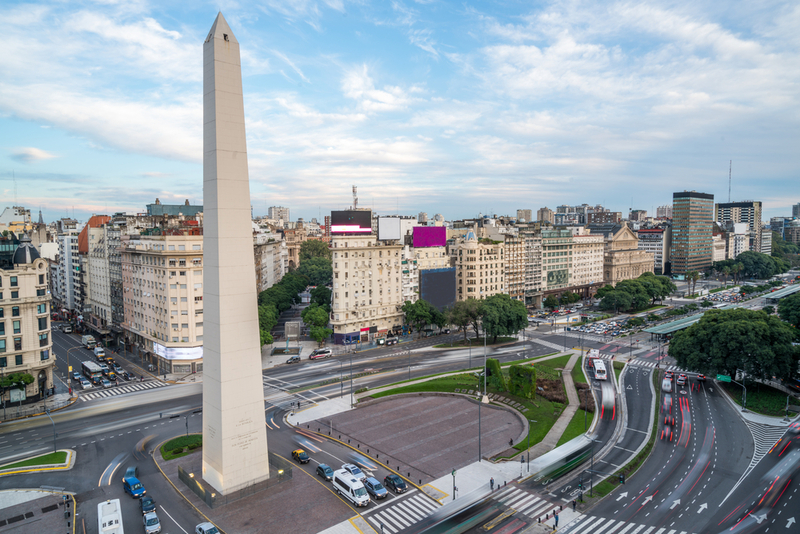 The Obelisk of Buenos Aires, centre of the city – Argentina. Photo credit: Shutterstock. Argentina has German colonies in several states and a Welsh colony in Chubut. The Welsh first arrived in Patagonia in 1865, hoping to protect their culture and language, arriving by boat and landing at what is today known as Puerto Madryn. Gaiman is a Welsh town in Patagonia, worth a visit for its traditional houses and chapels and for its Welsh tea houses that serve delicious afternoon teas. More than 300,000 Jews reside in Buenos Aires, the second largest Jewish population in the Americas (after New York). The indigenous population of Argentina is estimated at just below 2% of the total population, with some indigenous Andeans residing in the northwest and some Guarani Indians living in the northeast. The remainder of Argentina’s indigenous, particularly those from the central pampas region, were almost completely wiped out by the Spanish. As a result Argentina’s culture has only minimal indigenous influence, although yerba mate, which originally came from the Guarani Indians, features heavily in Argentinean culture. The gauchos are a definitive part of Argentinian culture and a national symbol. These Argentinian cowboys were mestizos, of mixed European and indigenous descent. The gauchos were nomadic horsemen who tended cattle in the central Pampas grasslands of Argentina in the 18th and 19th centuries.The traditional clothing worn by the gauchos consists of a poncho, loose trousers and a wide-brimmed hat. The world famous tango dance is believed to have originated in the early 1900’s on the outskirts of Buenos Aires in the lower-class areas. It is a very intimate style of dance that is passionate and seductive. Today tango is part of Argentina’s national identity and one of its cultural symbols. Another cultural symbol is football – Argentina’s national sport. It was introduced to Argentina in the second half of the 1800’s by the British immigrants in Buenos Aires and today over 90% of the population declare allegiance to an Argentine football club. Argentines are passionate about their football and the country is home to several great stadiums, some of them important tourist attractions. 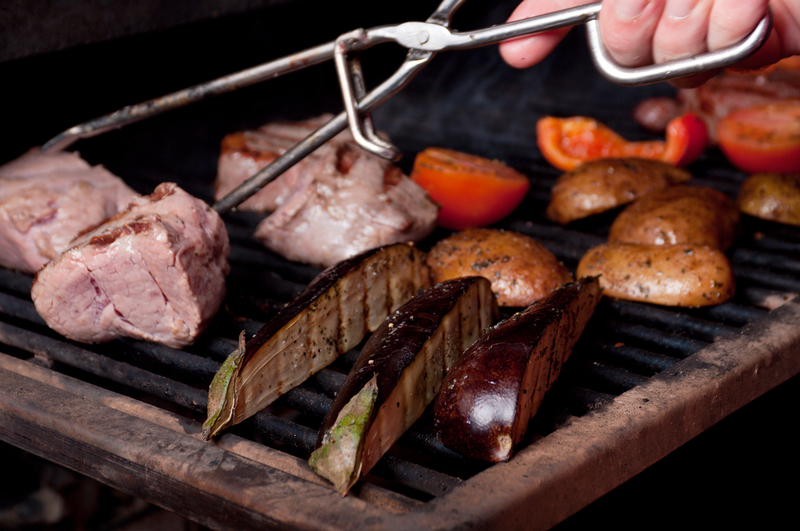 Argentina is the world’s largest consumer of red meat, with beef featuring in many dishes. “Parillas’’ are restaurants that specialise in barbecued meat. Typical dishes and foods include asado (BBQ meat), empanadas (pasties), picadas (cold meats and cheeses accompanied by bread), mate (herbal tea), dulce de leche (caramelised condensed milk) and alfajores (sweet biscuits filled with dulce de leche). Most Argentinians do not eat dinner until 9 or 10pm. Restaurants do not start to fill until this time and the Argentinians like to linger over their dinner, chatting for several hours. As a result they do not hit the bars until after midnight, with most night clubs in Argentina not opening until 2am. Are you already excited to discover all of the cultural highlights of Argentina or to try the typical Argentinean barbecue? Chimu Adventures offers tours to Argentina as well as tailor-made packages according to all your wishes. 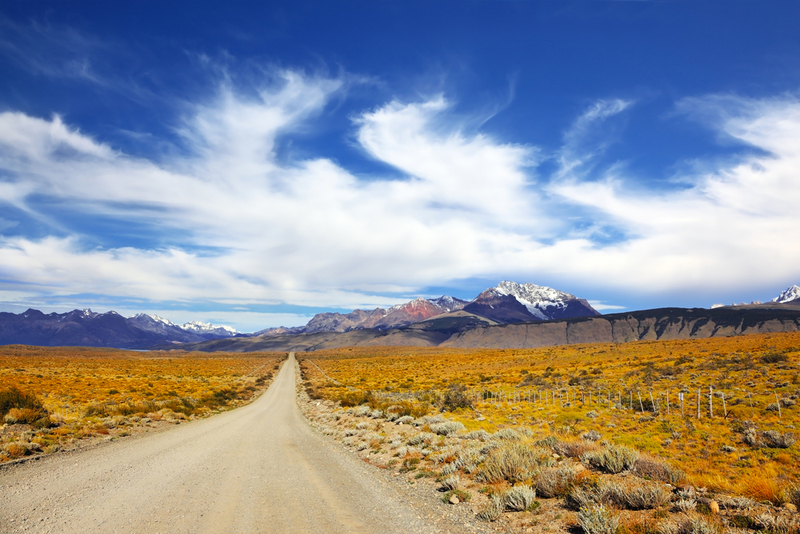 You won’t regret adding Argentina to your next South America Adventure. Click here for more information about Chimu. Travel Argentina in detail. Shop and eat in Buenos Aires, marvel at Iguazu Falls and visit Salta and El Calafafe.